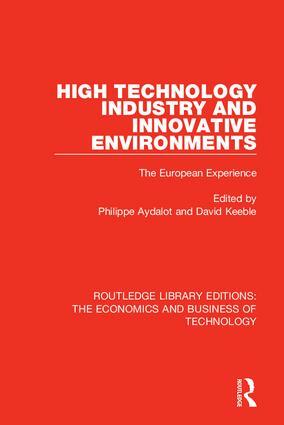 Originally published in 1988, this book explores how new technologies, industrial innovation and the growth of high technology industry have affected regional employment and economic change in different European countries. It discusses the factors which make some areas better suited than others to the development of the new industries, emphasising how fuctional integration and dependence upon highly-qualified manpower tend to concentrate these industries in particular locations. Attempts to encourage innovation and the development of high technology industry in old industrial areas are discussed, with particular reference to the role of large firms, training programmes and government policies.